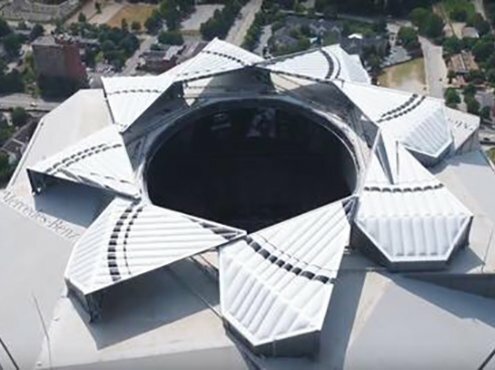 The roof is made up of eight moveable pentagonal shapes - labelled as "petals" by architects HOK - that join at the centre to provide full precipitation coverage. The eight petals are made from ethylene tetrafluoroethylene (ETFE) and move together along 16 individual tracks. The mechanism gives the effect of the opening and closing of the aperture of a camera. The announcement of its finishing puts to bed rumours that the roof was not working properly and adds substance to stadium operator AMBG's counters to those rumours. 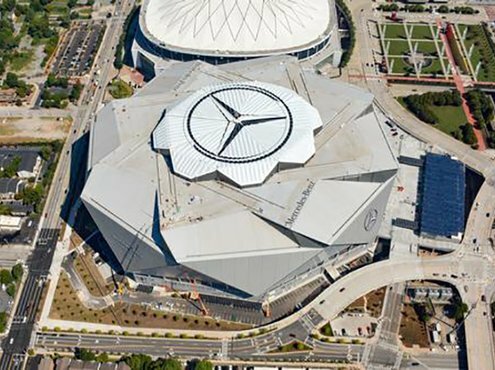 Mike Egan, AMBG senior vice president and executive overseeing construction, said: "The roof has always worked-it was never a question about whether the roof worked or not. The question was getting the weight distribution right." 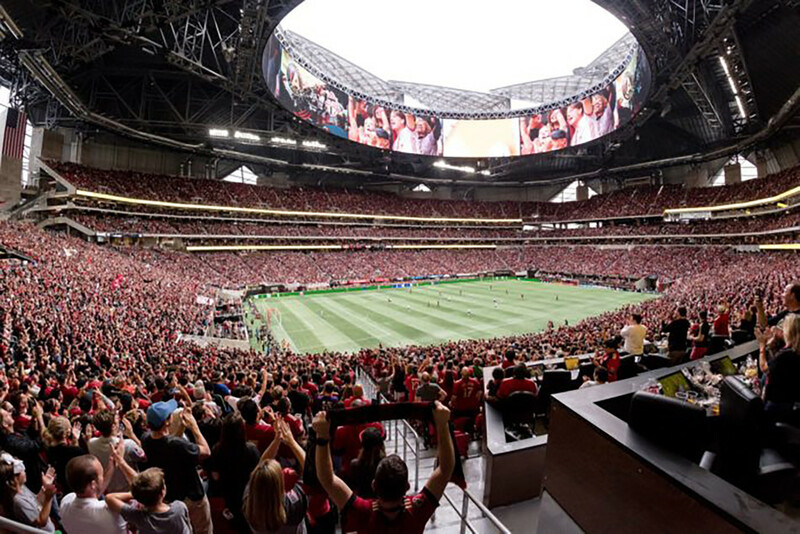 The Mercedes-Benz Stadium was named in 2017 as the first sports stadium in the world to achieve platinum certification for Leadership in Energy and Environmental Design (LEED).